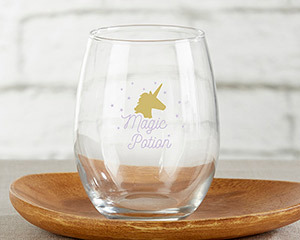 Sip with style using our Kate Aspen Enchanted Party 15 oz. Stemless Wine Glass in a set of 4! 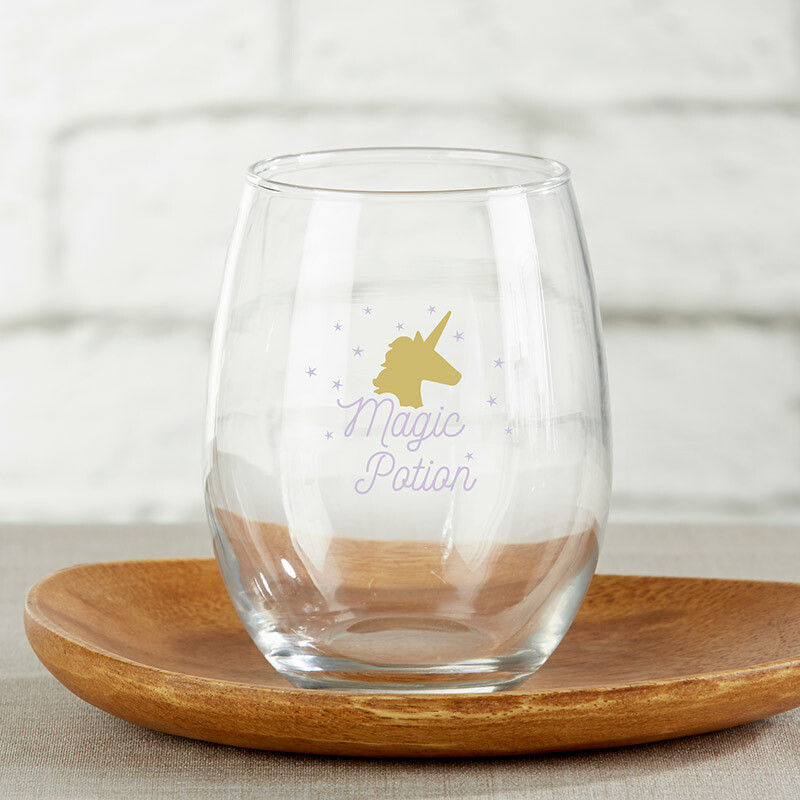 The glass features a starry unicorn print. Each glass holds a full 15 oz. of your favorite wine, or sodas, water, iced tea, or any favorite beverage!